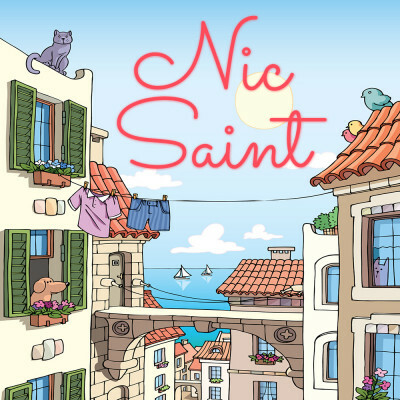 Nic Saint is the pen name for writing couple Nick and Nicole Saint. They’ve penned 50+ novels in the romance, cat sleuth, middle grade, suspense, comedy and cozy mystery genres. Nicole has a background in accounting and Nick in political science and before being struck by the writing bug the Saints worked odd jobs around the world (including massage therapist in Mexico, gardener in Italy, restaurant manager in India, and Berlitz teacher in Belgium).